Cal Poly’s annual Open House is a time when the university comes together to show off their green and gold pride to the community, alumni, prospective students, and their families. This year Cal Poly celebrated its 25th Annual Open House, but there has been some semblance of this event on Cal Poly’s campus for over 110 years. Special Collections and Archives helped provide historic material for this year’s Open House, and it was during this preparation that we came across a vaguely dated, but notable video of an early Poly Royal. Dating videos can be a challenge, but there are tips and tricks to solve the mystery. I always first start by watching the clip to see if there are any telling signs. Within this video in particular, there were some visuals that allude to the date. I first noticed the bands uniforms and the insignia on the bass drum. With such a unique image, I took to the yearbooks, which are all digitized online, to rule out years. The yearbooks have a group photo of the band in their uniforms, and upon inspection, their uniforms changed in 1937, ruling out that 1937 or any later year. 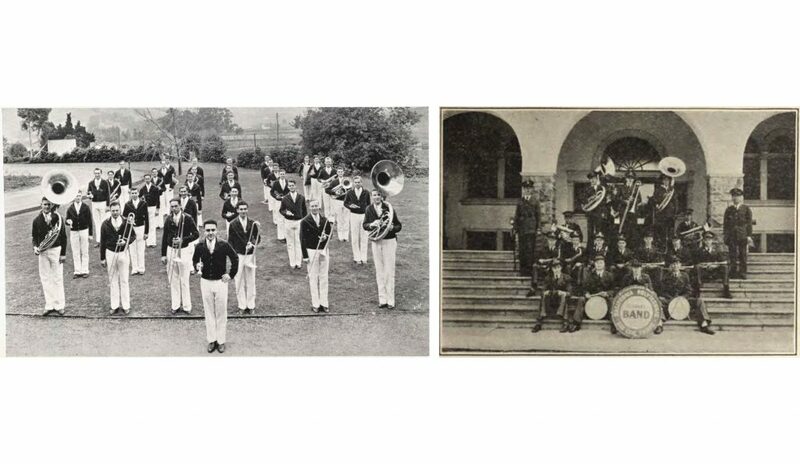 Comparison between band uniforms in 1937 (left) and 1934 (right). From the University Archives, Kennedy Library. So knowing that the video took place sometime between 1933-1936, I further looked at the video’s events. The Cal Poly football team played a prominent role in the video, so I took to the Poly Royal programs to further narrow the possible dates. In the University Archives, I found the 1933 Poly Royal brochure that outlined all the events taking place that day, and there was no mention of a football game. I was able to rule 1933, the first ever Poly Royal, out of the equation. Stumped at where to look next, I re-watched the video to see if there were any telltale signs to distinguish the different Poly Royals. At around the [00:02:23] mark, I noticed there was a PA system attached to a car, and after cross-referencing with the yearbooks, I found a match. The 1934 El Rodeo depicted the exact picture down to the pole placement verifying that the video was in fact the 1934 Poly Royal. Success! 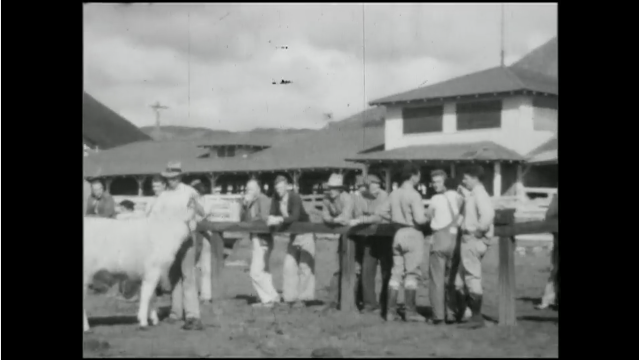 This is a comparison from the Poly Royal page in the 1934 El Rodeo yearbook and a still image from the 1934 Poly Royal video. From University Archives, Kennedy Library. Now we can better describe the film in our online archives for future researchers and visitors to Open House. See this film and more audio-visual material on Open House and Poly Royal at our online collections. See you next year! 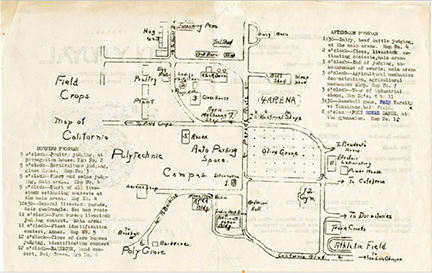 Read more on cal poly history, Poly Royal, and university archives.